Attendees to watch out for: S Marino, Terry Gene, Patrick Lundrigan, Sharon Joss, Chris Kelworth, Diana Davis Olsen, Jeb Kinnison, Anna Yeatts, Brandon McNulty, Chris Bauer, Sally McBride, Lawrence Buentello, Paul DesCombaz, Ginny Campen, Gerda Shank, Barbara Caridad Ferrer, and Sunil Patel. 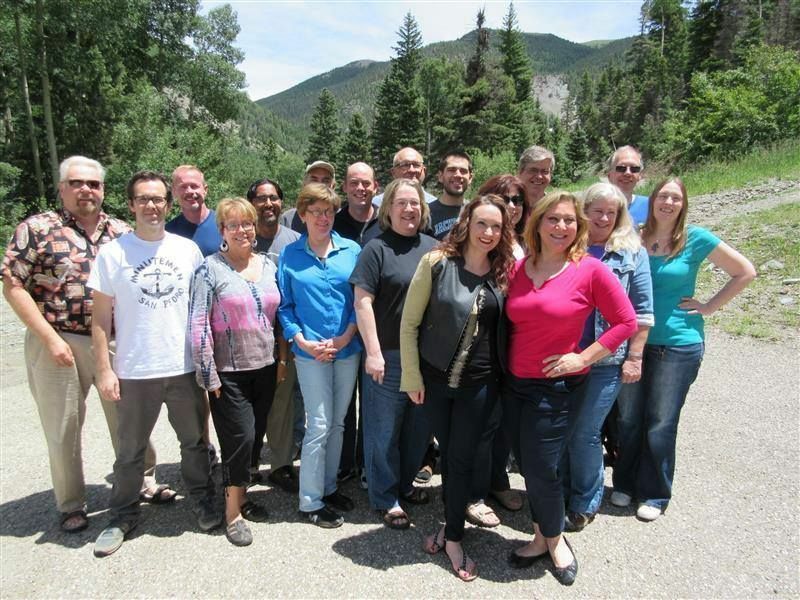 2015 Taos Toolbox class picture. This entry was posted in Heard Online and tagged Jeb Kinnison, Taos Toolbox by Mike Glyer. Bookmark the permalink. Damn it – a nervous twitch just started up in my forehead. Despite the insanity of everything else, I just love this one.